Samsung Galaxy Note 8 is the latest flagship devices form the Samsung mobile. 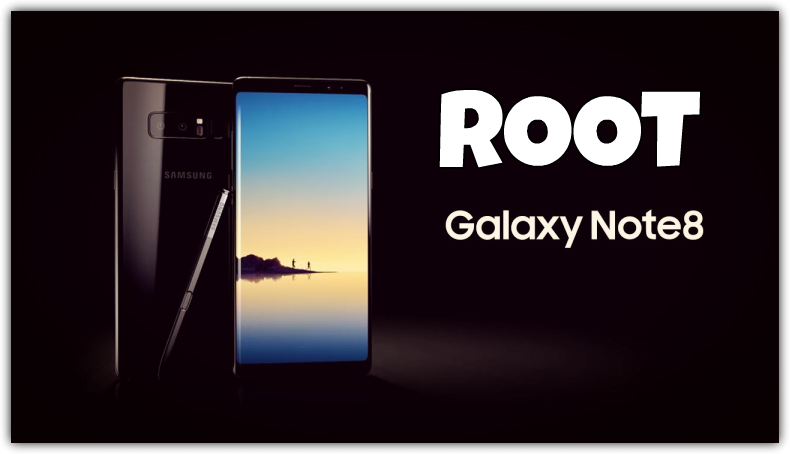 And Many users already bought this beat and looking for the guide to Root Samsung Galaxy Note 8 and install the TWRP recovery to flash the Custom ROM and to get the root access on the phone. To Root any Samsung phone you need to unlock the bootloader of the phone first, and then after that, you need to flash the TWRP recovery with the help of ODIN flash tool. Here in this tutorial, we will show you how you can easily root Galaxy Note 8 with magisk root manager. All credit goes to the XDA member geiti94, who released the Unofficial TWRP recovery for the Galaxy Note 8. Without TWRP recovery it’s now possible to root the Galaxy Note 8. In most of the Samsung Devices, Cf-Auto Root is the Best method to root Samsung Phones. But here in this guide, we are using the Magisk Root manager to get the root access on the Samsung Galaxy Note 8. This guide will wipe all the data from your phone and so make sure to take the full backup of your phone. And yes this method will void the warranty of your phone. In case if you want to unroot your phone then all you have to download the latest Firmware for Galaxy Note 8 here and install the same with the help of ODIN tool. So let’s get started and Install the TWRP and Root the Galaxy Note 8. This guide is only for the Samsung GLalxy Note Exynos variants – N950F/FD/X/N. Don’t follow this method on any other models of Galaxy Note 8. Otherwise, you will brick your phone. Read All the steps very carefully and follow all of them one by one on your phone. Technobuzz.net is not responsible for any damage that might happen to your phone during this process. You’ll lose all your data upon unlocking the bootloader. Download TWRP for Exynos variants – N950F/FD/X/N here and save the file on your desktop. Make sure to take the full backup of your phone. Go to the phone Settings > About Phone. Tap 7 times on Build number to enable Developer options. Now the developer option is visible in your phone settings. Go to Settings -> Developer options and enable OEM Unlock option. Also, Enable the USB debugging mode on the same page. Now the Bootloader is unlocked, and you are ready to flash the TWRP on your phone. 1. Download and install the latest Samsung USB drivers form the above mention links. 2. Download Th ODIN flash tool from the above mention links and run the ODIN.exe file on your desktop. 3. Download a .tar image of TWRP and save on your desktop. 4. Now boot your Galaxy Note 8 in Download Mode. TO do this first turn off your phone. Hold [VOLUME DOWN] + [BIXBY] + [POWER] for approx. 15 seconds. Read the warning carefully. If you agree, press [VOLUME UP] to get into Download mode. 5. Now in the ODIN app place that TWRP tar file in the [AP] slot. 7. Now hit the Start button on the ODIN app, and this will install the TWRP on your phone. 8. Once the TWRP is installed. Hold [VOLUME UP] + [BIXBY] + [POWER] on your phone on boot your phone in TWQRP mode. Now your phone will boot in TWRP mode. Now to root Samsung Galaxy Note 8 follow the below guide. 1. Now your Phone in TWRP mode. At this point, you will reach the screen asking you if you want to allow system modifications. 2. Select “Keep /system RO”. 3. Now Go to “Wipe” menu of TWRP, and you will find “Format Data.” Press “Format Data” and type “yes” to continue. 4. After that go to “Reboot” menu and Press “Recovery” to reboot TWRP. 5. Now Download the dm-verity and force encryption disabler zip and Magisk ZIp file form the above mention link and save on your desktop. 7. Go to “Install” menu of TWRP and flash the dm-verity and force encryption disabler zip file fist and after that Flash the Miagisk zip file to get the root access on your phone. Now the TWRP is successfully installed on your phone, and the Galaxy Note 8 is rooted. If you have any question on your mind or facing some problem this guide, then leave the comments below. We will help you to fix it up. On T-Mobile Note 8, there is no OEM option in developer mode.